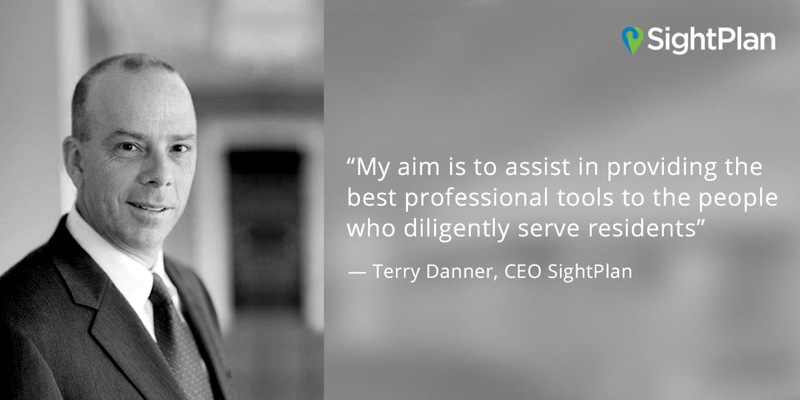 In his role at SightPlan, Terry will be responsible for leading the company’s strategic direction and partnering with other industry suppliers to deliver practical solutions to solve many of the longstanding challenges of their joint customers. “Terry has an unparalleled understanding of multifamily operations, resulting from nearly thirty years of experience in working on site, in regional roles, and in building successful management organizations. I believe our customers and the industry will benefit immensely from having an advocate with their direct perspective charting the company’s path.” said SightPlan Co-founder, Joseph Westlake. Terry started his career at Summit Properties, which was later acquired by Camden Property Trust, and thereafter assumed executive leadership roles at Trammell Crow Residential Services. Terry then co-founded Riverstone Residential Group which became the industry’s largest third-party management firm. Terry held the role of CEO at Riverstone leading to the merger with Greystar in mid-2014 which resulted in the largest multifamily owner and operator in the country by far. Following the merger, Terry was responsible for the nine real estate operating divisions, the client services and business development group, the renovations and regional maintenance team, and ancillary business lines. Terry’s commitment to the multifamily industry has been evident in his roles with the National Apartment Association (NAA), including contributions as a longtime member of the NAA Board of Directors and in his leadership on many of its committees. Terry has also been very active in the National Multifamily Housing Council (NMHC). Terry will help represent SightPlan to the supplier councils of both these organizations with the goal of partnering to deliver modern software solutions to the industry. “SightPlan provides an opportunity for new innovations that deepen our commitments to resident service while helping manage properties more profitably. My aim is to assist in providing the best professional tools to the people who diligently serve residents, as well as the owners enhancing existing and developing new communities to meet our nation’s ever growing housing needs. What impresses me most is that while the very capable software development and leadership teams at SightPlan have built excellent, practical, and affordable solutions for today’s industry challenges, they also have a great vision for partnering with others in the industry on the best solutions to future challenges.” said Terry Danner. SightPlan provides software for building and managing great communities. We believe that Effective Teams = Happy Residents, so we’re empowering leasing, resident service and maintenance teams with easy-to-use solutions to deliver exceptional service. SightPlan is the recipient of the National Apartment Association 2014 Innovation Award. To learn more about SightPlan, please visit sightplan.com. SightPlan and the SightPlan logo are trademarks of SightPlan. Other company and product names may be trademarks of their respective owners.